Smart Sitemap.xml Tools plugin can build and server sitemap index and sitemap maps with the content of your website links according to Sitemaps specification used by most search engines including Google and Bing. 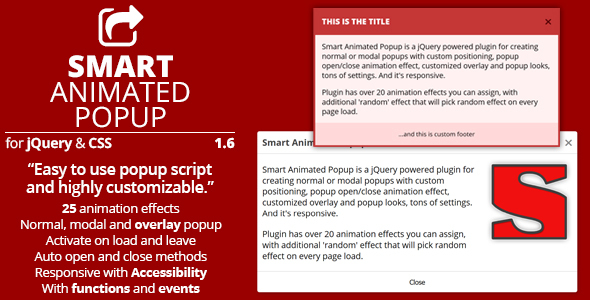 Smart Animated Popup is a jQuery powered plugin for creating normal or modal popups with custom positioning, popup open/close animation effect, customized overlay and popup looks, tons of settings. 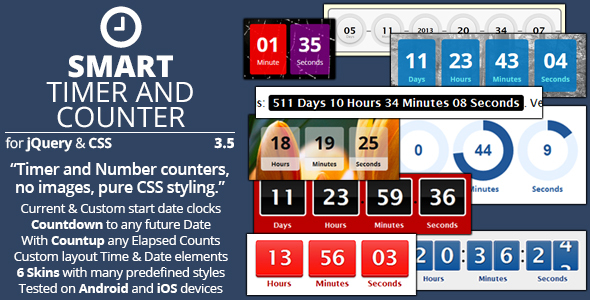 And it’s responsive. 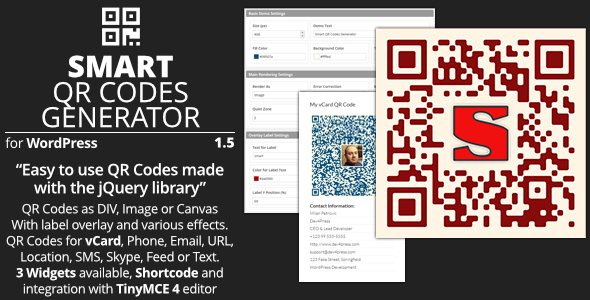 Smart Market Shortcodes is a simple and easy to use plugin for WordPress for embedding items and authors information from any of Envato Marketplaces into your own WordPress powered websites through use of shortcodes. Smart Audio Playlists is a plugin made for WordPress 4.0 and newer (and it will not work with older WordPress versions!) 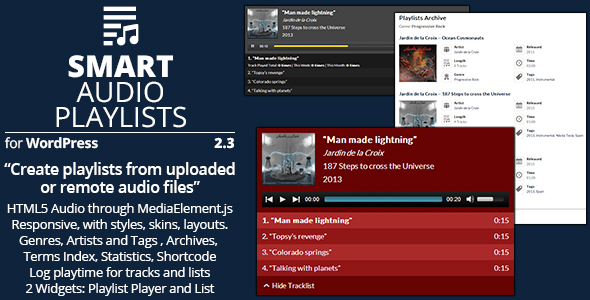 to create, edit and manage playlists with audio files. Plugin implements advanced playlist editor for adding local (uploaded) or remote audio tracks, playlists settings and information, terms for artist, genre or tags and extra heading content to be displayed above playlist. Plugin adds custom post type for playlists and two more custom taxonomies (genre and artist). This plugin is created for all authors selling products through Envato Marketplaces and using WordPress with bbPress plugin to provide support for customers. 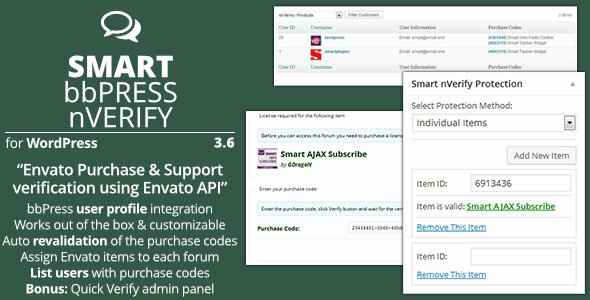 Using Smart bbPress nVerify, you can set up forums protection so that users are required to enter valid purchase code for your Envato products. You can assign one or more products to individual bbPress forums. 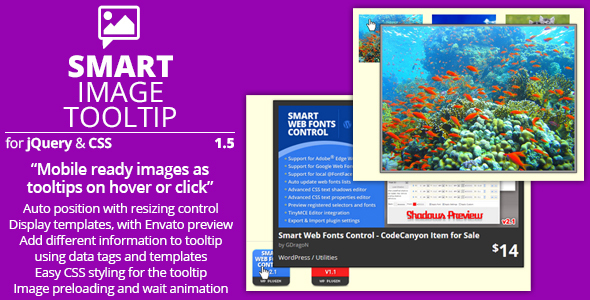 Smart Image Tooltip is easy to use and setup plugin that can show images as tooltips for thumbnails or normal links. 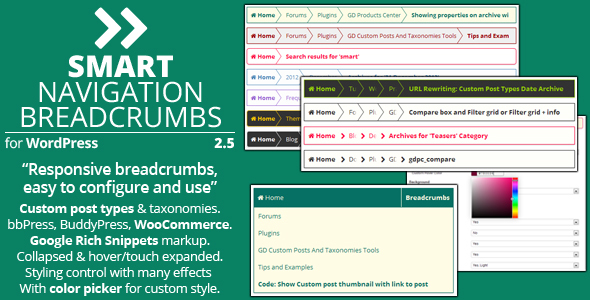 Plugin requires proper structure for the HTML used, and it supports adding all sorts of extra data that can be displayed inside the tooltip. 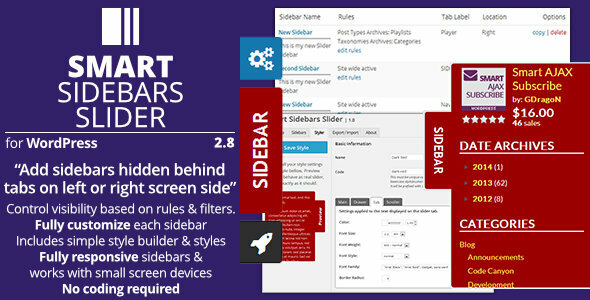 Smart Tabber Widget is a WordPress plugin with main widget that can turn multiple widgets into a single widget with tabs. To do this, plugin registers Widget Placeholders (essentially inactive sidebar areas), and when you add Tabber Widget, select Placeholder to use, set up transitions, animations and styling and you will get an end result single widget containing as tabs individual widgets from Placeholder. Simple Contact Slider is a very easy to use plugin for adding classic contact form into any and all pages of your WordPress powered website. 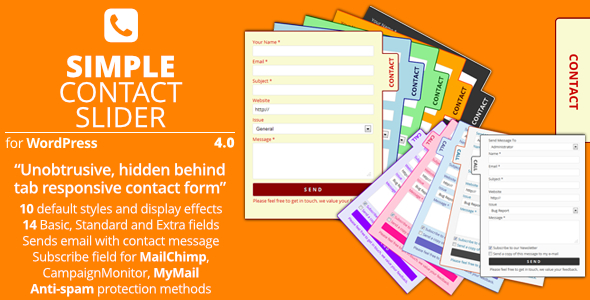 Contact form is responsive, hidden behind the tab on the left or right side of the screen, and it is sliding into the screen when user clicks on tab. Smart Cleanup Tools is an easy to use, powerful plugin for database cleanup with total of 37 cleanup, reset and removal tools. 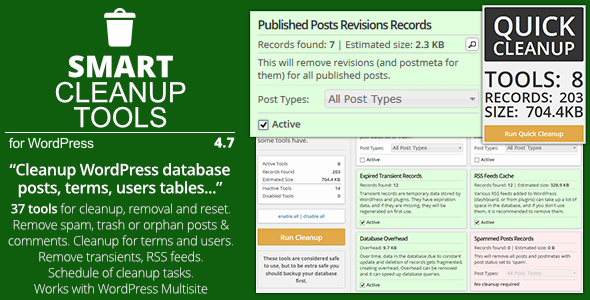 With this plugin you can remove data that is no longer in use, or it is unneeded. 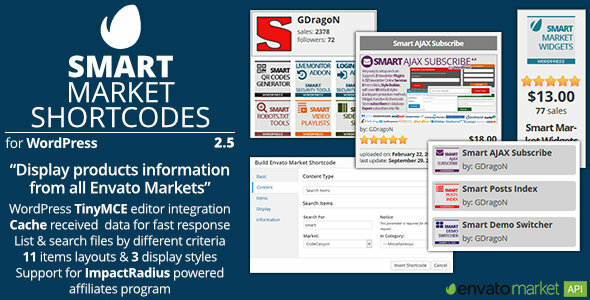 Smart Navigation Widgets is plugin with 4 widgets (and 1 bonus widget) ideal for bloggers or any other WordPress users with big archives that can be hard to navigate. 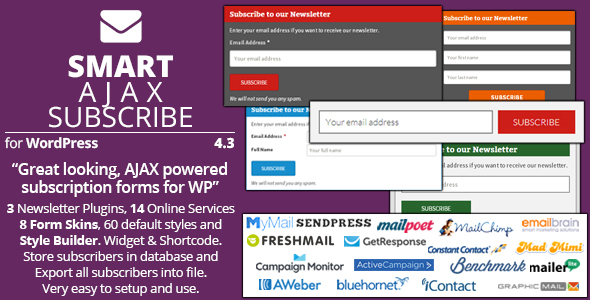 Using this plugin, you can display AJAX powered archive widget that shows only small portion of archives to user, and allows him to navigate deeper only when he needs to. Browse fully categorized list of articles, guides and frequently asked questions on various topics for all SmartPlugins plugins. Get direct help with fast response time for any of SmartPlugins plugins and themes, visit our dedicated bbPress powered support forums. Vist the SmartPlugins profile page on Envato Market CodeCanyon, the starting place for purchasing all available SmartPlugins plugins.